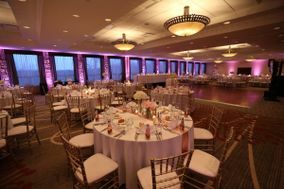 Pittsburgh wedding venues are known for providing couples with scenic city skyline views. 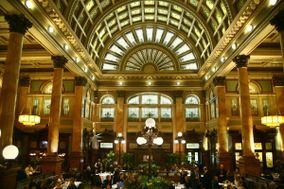 Known for its world-class accommodations and award-winning restaurants, Pittsburgh will definitely leave a lasting impression on both you and your guests. 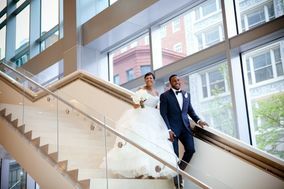 So, if you’re getting married in Pennsylvania and hope to find a downtown setting for your event, check out these Pittsburgh wedding venues. 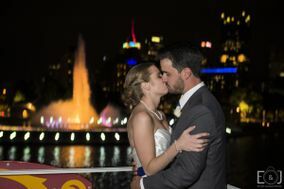 Sparkling skyline and waterfront views in Pittsburgh create a stunning backdrop for a picture-perfect wedding -- and unique scenery is just part of the story. 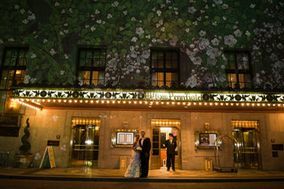 This vibrant Pennsylvania city has a growing reputation for arts and culture and fabulous cuisine, as well as one-of-a-kind wedding venues. 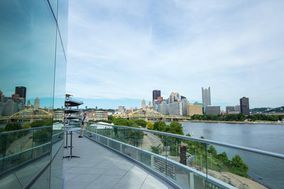 Located at the intersection of three rivers, historic Pittsburgh is a top-rated and increasingly popular destination for tourism and special events. 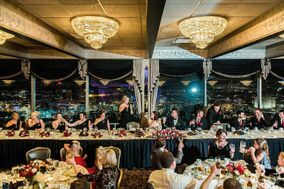 Pittsburgh wedding venues include a selection of five-star restaurants and vintage hotels, many with panoramic cityscapes and amazing food. 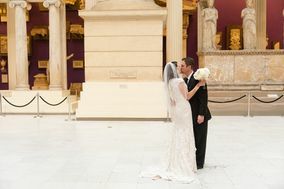 Downtown Pittsburgh is known for beautifully restored, classic architectural sites that allow you to set a scene of romance and timeless grandeur. 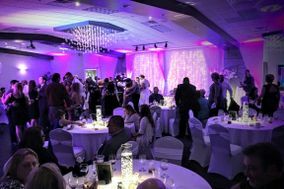 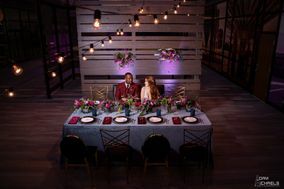 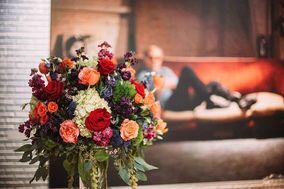 A number of creative and casual wedding venues in Pittsburgh are also available, with options that help you host a distinctly memorable occasion. 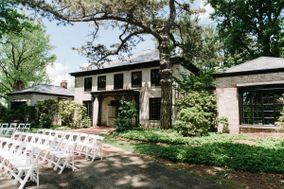 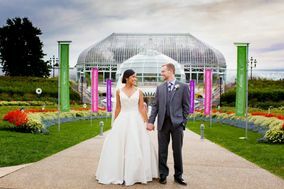 Imagine reciting your vows in a gorgeous botanical garden, a vintage museum, or a glass-domed atrium. 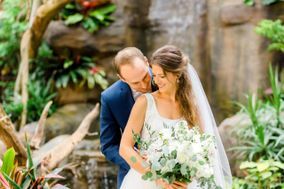 Your guests can spend time enjoying eye-catching exhibits, wandering through a tropical forest -- even mingling with exotic aviary birds. 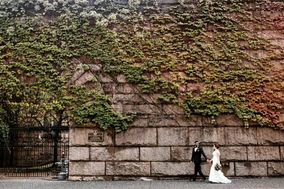 The photo opportunities? 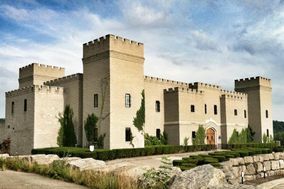 In these unique venues, the possibilities are endless. 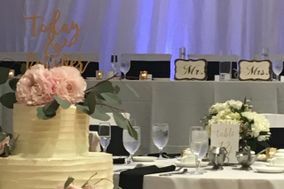 With wedding costs below the national average, there are Pittsburgh wedding venues to suit just about any budget and taste. 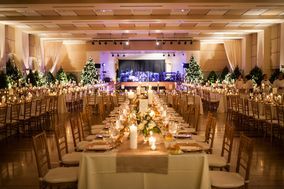 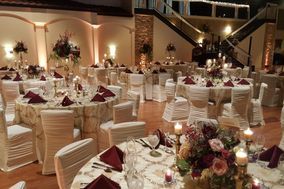 You and your partner can book a ceremony for as little as $500 or spare no expense to create a world-class wedding and reception. 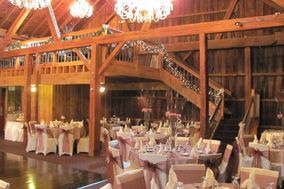 If you are interested in getting out into the country for a Pittsburgh farm or ranch wedding, the mountainous Laurel Highlands region provides venues within an hour's drive of the city. 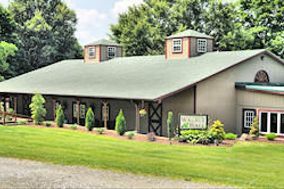 Here, you'll find rustic natural beauty in peaceful rural settings, with options to book your paradise for an extended stay. 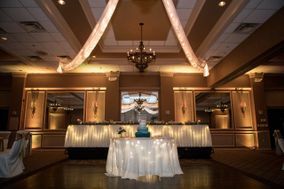 If affordability your priority, you might check out wedding venues in Cleveland, Ohio, the nearest large city to Pittsburgh. 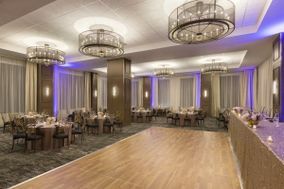 Cleveland offers several hotel and restaurant venues that are elegant and budget-friendly. 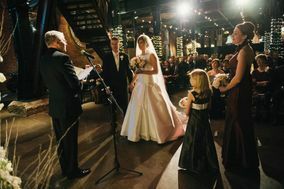 Or, you can host a fun, one-of-a-kind wedding at the Cleveland Metroparks Zoo, which offers a tropical rainforest venue. 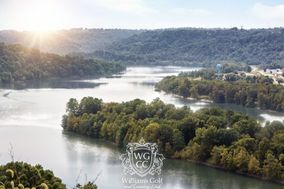 Expect reliably warm weather in Pittsburgh from late May through mid-September, when average daily highs reach 74 degrees or above. 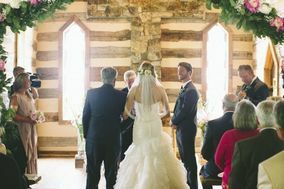 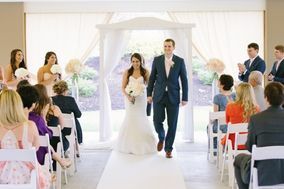 In addition to the popular summer season, autumn is an especially lovely time to hold a wedding in western Pennsylvania. 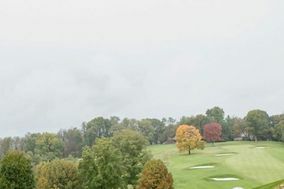 October is the driest month of the year, and the trees are sure to be ablaze with color. 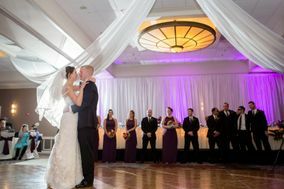 Because light rain is often in Pittsburgh's forecast, most wedding venues in the city provide indoor and outdoor celebration options. 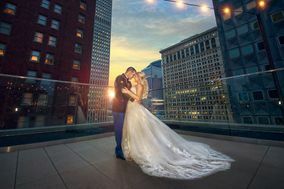 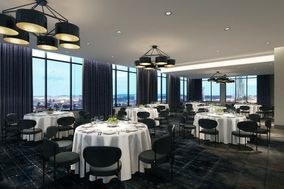 Whether from a patio deck, rooftop or floor-to-ceiling windows, you and your guests will enjoy the city's gorgeous skyline views in comfort. 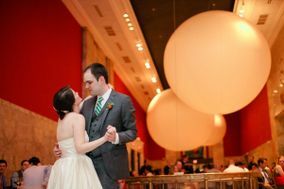 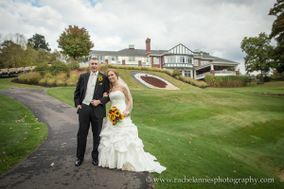 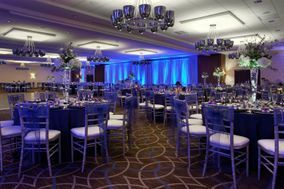 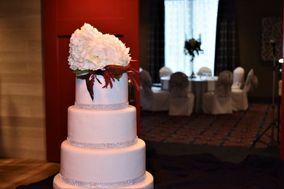 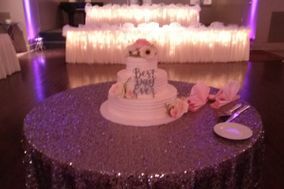 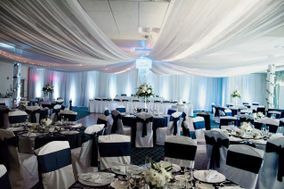 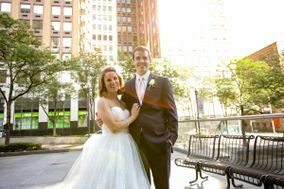 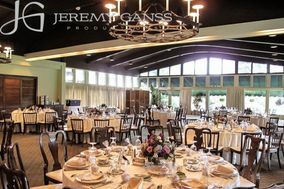 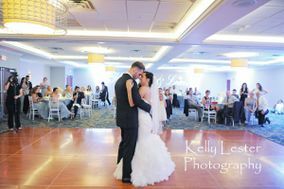 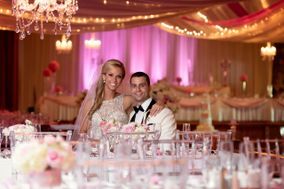 WeddingWire offers reviews, photos and detailed information about dozens of popular wedding venues in Pittsburgh. 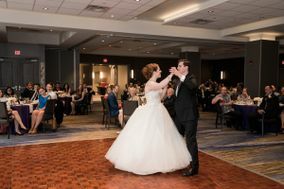 Our website makes it easy to organize and share your favorites, locate Pittsburgh vendors, and even book Pittsburgh hotel room blocks at the lowest price. 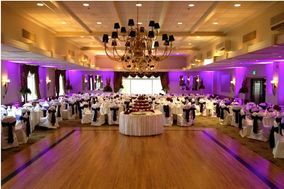 Take advantage of our useful planning tools designed to help you create a magical wedding experience in any location.